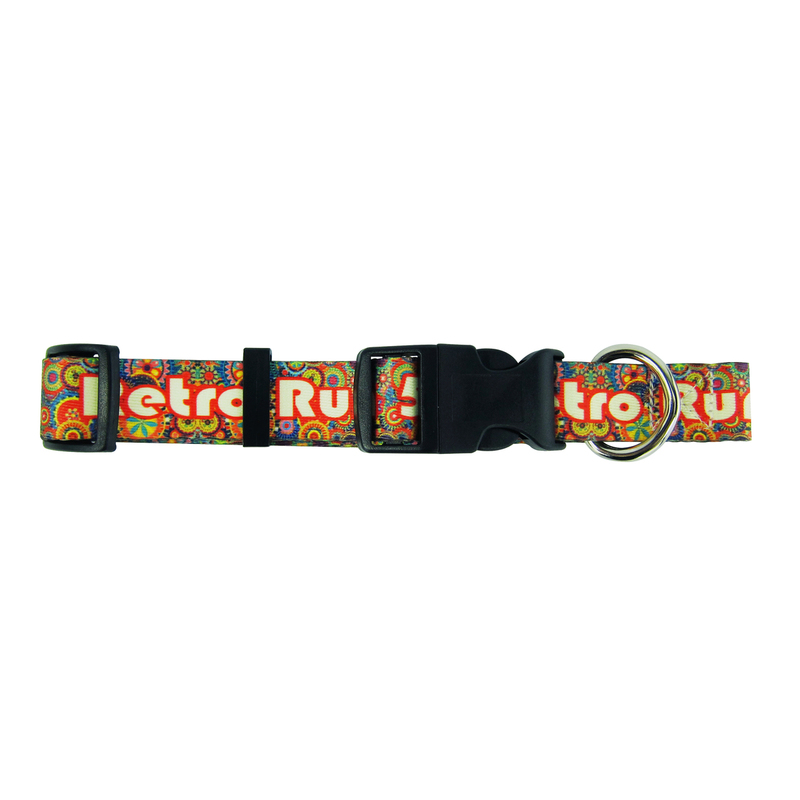 Adjustable, 12" - 18" dye-sublimated, soft, 100% polyester collar. Price includes up to 6 spot colors or full color on one or two sides on white. Shipping: 3/4" Pet Collars Box Size: 14x14x10. 250 = 19 lbs. 1" Pet Collar Box Size: 14x14x14. 250 = 30 lbs.